An internationally known trainer and consultant, Michael Watson brings a wealth of experience to this program. He has been training people in NLP & Ericksonian Hypnosis for the past 20 years, & has been working as a hypnotherapist for 30 years. Not only that, but he's been involved in the human potential movement since the early 1970s; the list of 'greats' he's trained with reads like a "Who's Who" of the consciousness movement, & includes Richard Bandler, John Grinder, Judith DeLozier, Steve and Connirae Andreas, Robert Dilts, Stephen Gilligan, Chris Hall, Charles Faulkner, David Dobson, David Gordon, Todd Epstein - he's even trained with Timothy Leary & Ram Dass! Michael is a member of the International Association of Counselors and Therapists (IACT), he is on the Board of The International Medical and Dental Hypnotherapy Association, and is a former President of the Hypnosis Education Association. IACT's 2009's Educator of the Year and representative to the Council of Professional Hypnosis Organizations, Michael is on the training staff of Salad Seminars (UK), NLP comprehensive (CO) the UP Hypnosis Institute (FL) and on the faculty of HPTI. 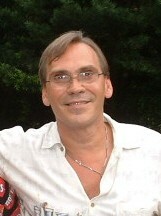 He is the Director and Primary Trainer at Phoenix Services for Personal Development and NLP Florida. In addition, he has been certified as a NLP trainer by the Society for NLP (SNLP). This organization is the original credential granting organization established by the founders of NLP (Richard Bandler and John Grindler) to preserve the standards and protect the quality of training in NLP. Under the leadership of Chris Hall for the last few decades, this group has maintained the highest of standards and, despite the fact they certified trainers in a dozen countries, they have only certified 10 people in the US. Of those there is only one who resides east of the Mississippi River, and that is Michael Watson! This definitely makes this opportunity unique. Here is just one of many videos of Michael facilitating classes on Hypnosis and NLP available on YouTube.